I always get psyched about daylight-saving time until it actually happens. Then I remember that having extra daylight in the evening is kind of pointless in upstate New York, where all you can do is gaze out your window at the snow. I miss the daylight in the morning a lot. So I apologize if I look a little morose in these pictures. I'm also wet from walking my dogs in the rain, and my knee hurts. Blah. This outfit was left over from last week's wardrobe challenge — I had originally planned to wear my brown boots with it, but when I could barely walk this morning, I decided that flats were going to be the way to go. I added a cardigan AND a scarf because it is super wet and cold today, and I wanted to be as cozy as possible. As a consequence, I feel kind of frumpy, but cozy. Tomorrow I'll be back to featuring items from my Etsy store, and if the light is good enough in the morning I may even attempt a Toddler Thursday. Work It Wednesdays will also return next week. This has just been a mess of a week so far! I am so done with winter and just find it hard to summon the energy to do, well, anything. I need to break out of these blahs! 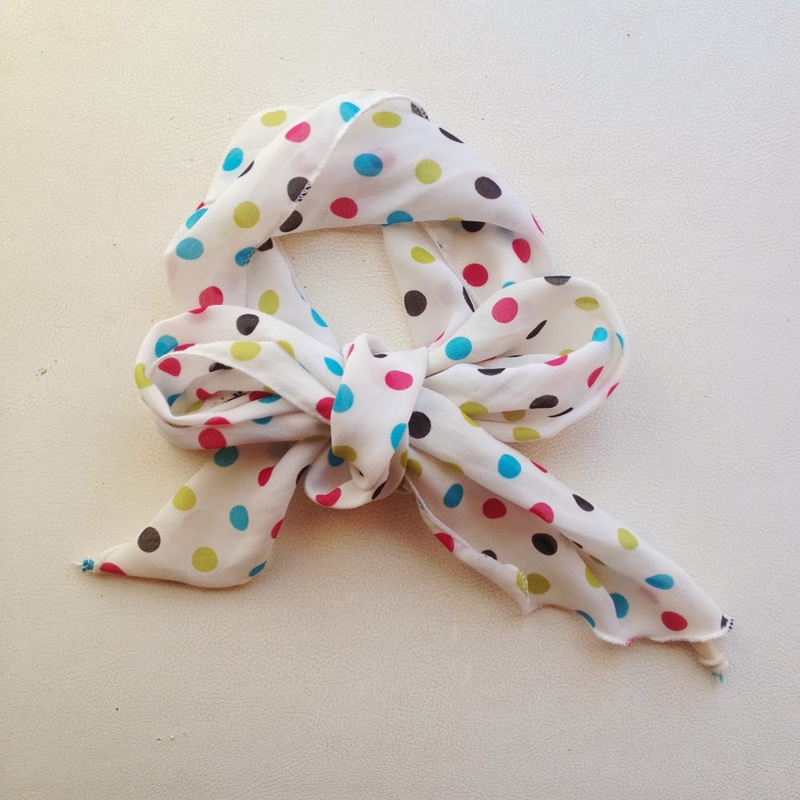 If you have the winter blahs, don't forget to enter this week's giveaway, which features this cute polka-dot scarf that's perfect for spring. Details are here — I've made it even easier to enter this week, so please check out the guidelines. Forever loving your hair. I'm jealous of the curls. What happened to your knee? Don't know! Just started hurting one day. I went to the doc and they did lots of tests and they still don't know. So next is a visit to orthopedics. It's pretty obnoxious wearing a big ace bandage around one knee (not pictured) and hobbling around all the time! I hope they figure something out soon! That really stinks!